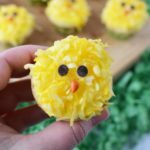 Easy Little Chick Cupcakes – Fun for Easter Celebrations! 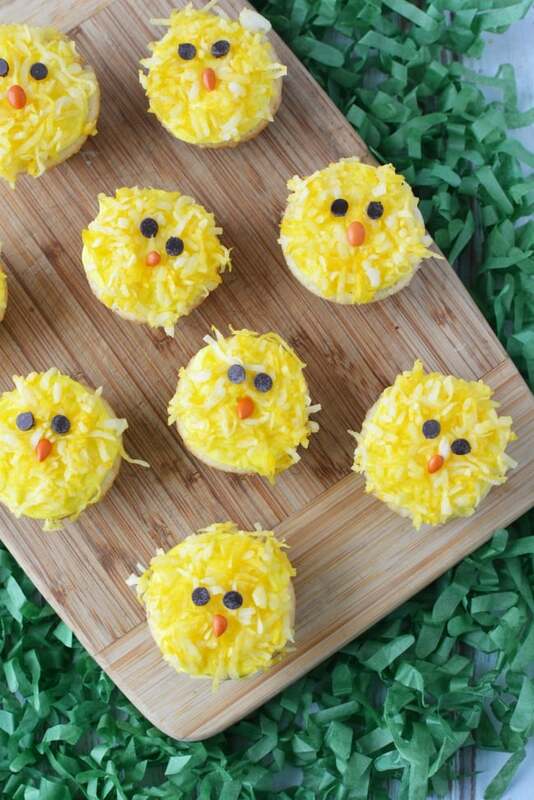 These little chick cupcake bites are not only kid friendly, but also husband tested and approved. I made them for my daughters bake sale at school, and had to make a second batch for home, that the family tore through in a day. They loved having these bite size treats to just pop in his mouth for a quick bite (helps that he loves all things coconut and lemon too)! 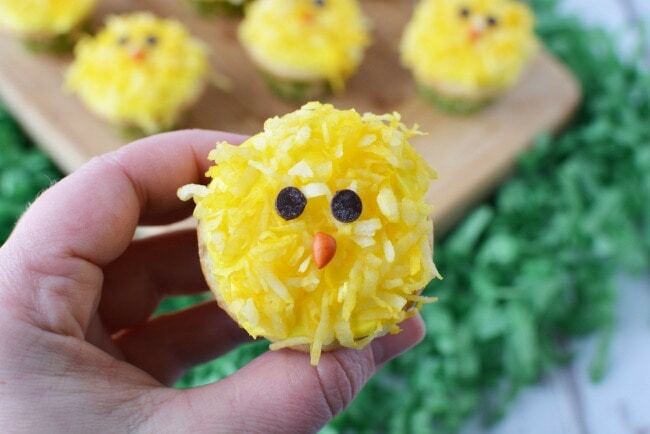 If you’re looking for a simple and festive dessert for Easter, this is a fun one to add to your festivities! 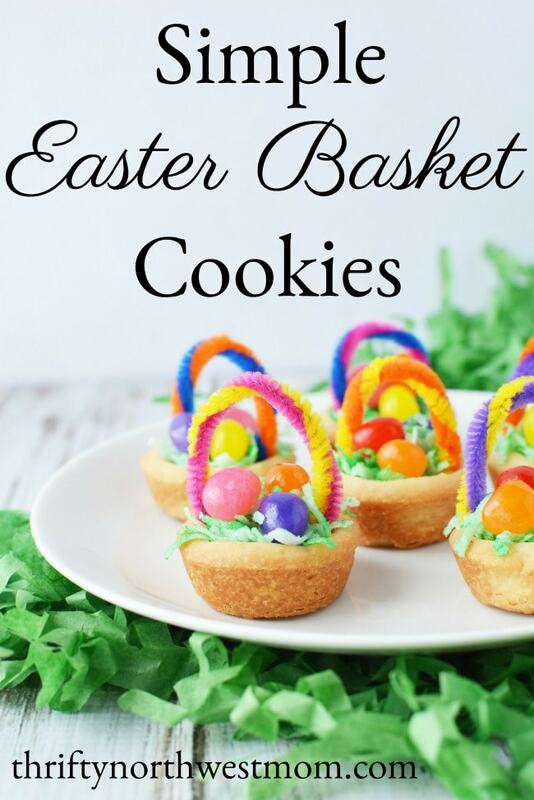 We have made this recipe with both mini cupcakes, and regular sized cupcakes, and it works well with both sizes, so use what is best for you. 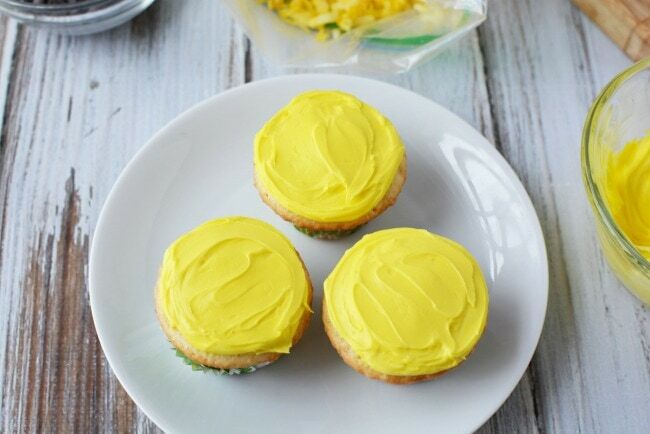 Start by making your cupcakes and frosting them yellow. 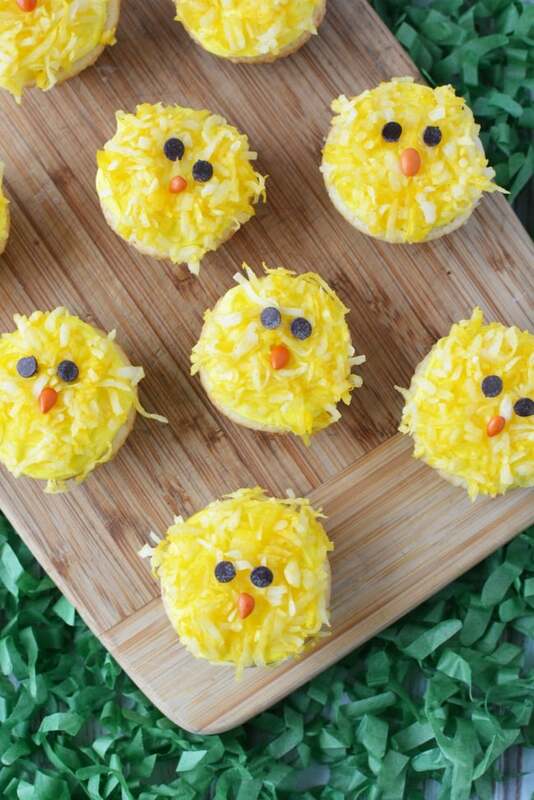 You can make any kind of cupcake you choose. 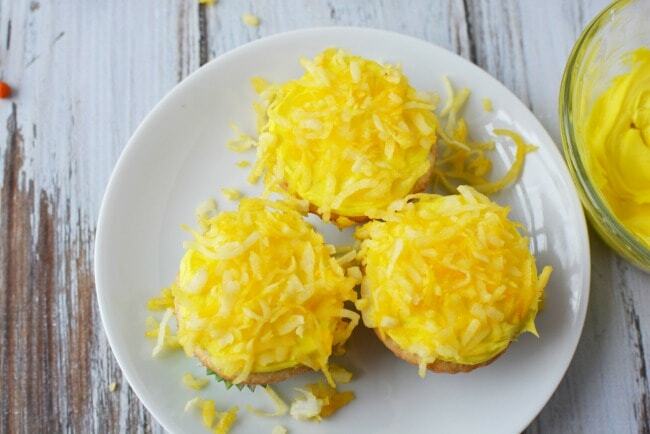 Next add yellow coconut to the top of your frosted cupcake. Make the yellow coconut ahead of time by adding a small amount of water to a bowl, usually 1/2 to 1 tsp and then add the color to the water. Pour the water into the bag with coconut and knead. Then take two mini chocolate chips per cupcake, and place them where the eyes should be. We turned them upside down here, but you can do it either way. We used candy coated sunflower seeds for the nose in this version. 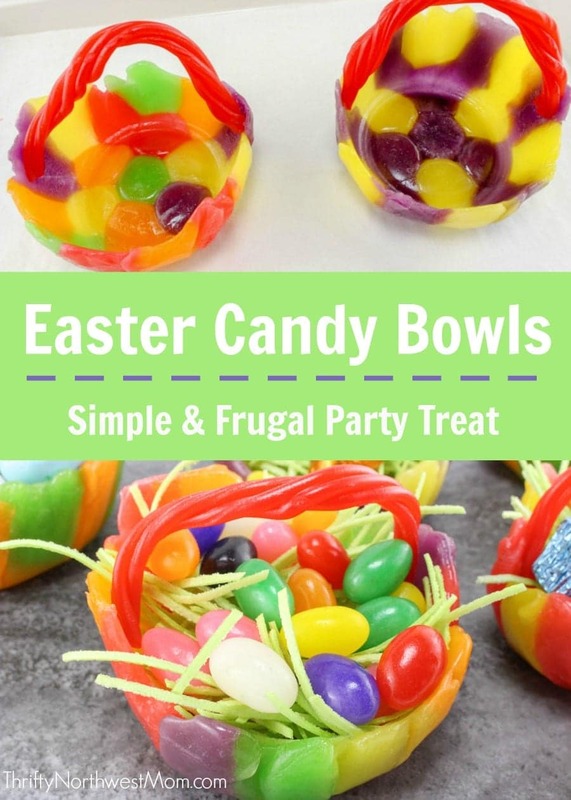 If you cannot find those, you can use any kind of gummy candy that you can cut into a nose shape too. 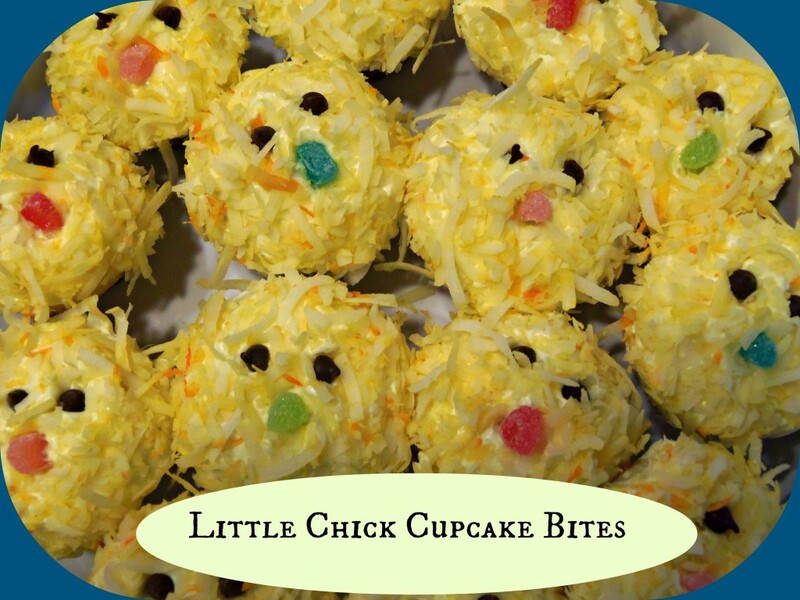 Here is an example of where we used gummy candies on a previous recipe, if those are easier to find. That is it. Super simple, right? My kids love it when I take just this little extra effort to make the cupcakes special for the holidays. 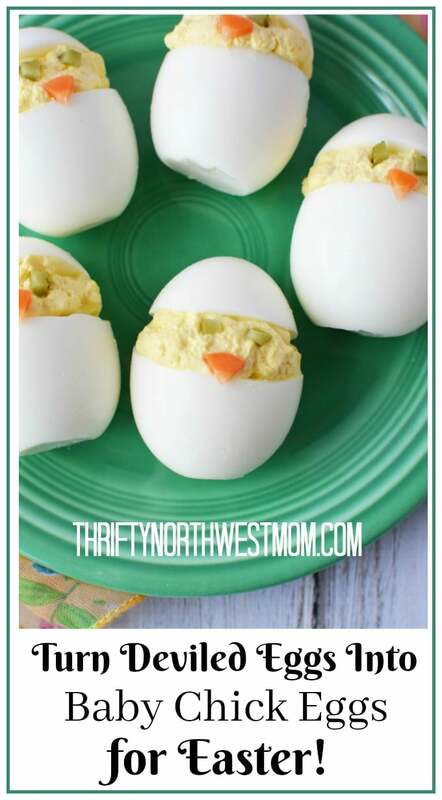 It’s also a great recipe to make with kids. It is simple enough that even young kids can help decorate. 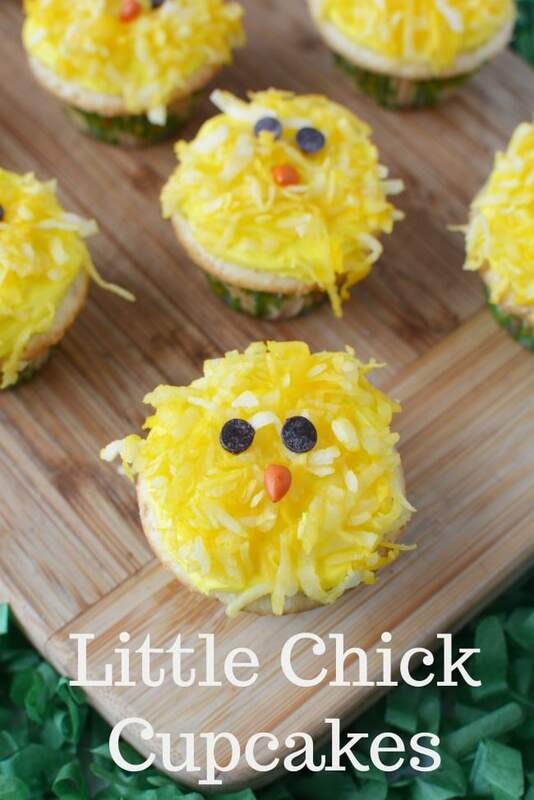 Here’s a printable version of the Little Chick Cupcakes recipe for you to print off to put in your recipe binder or notebook. 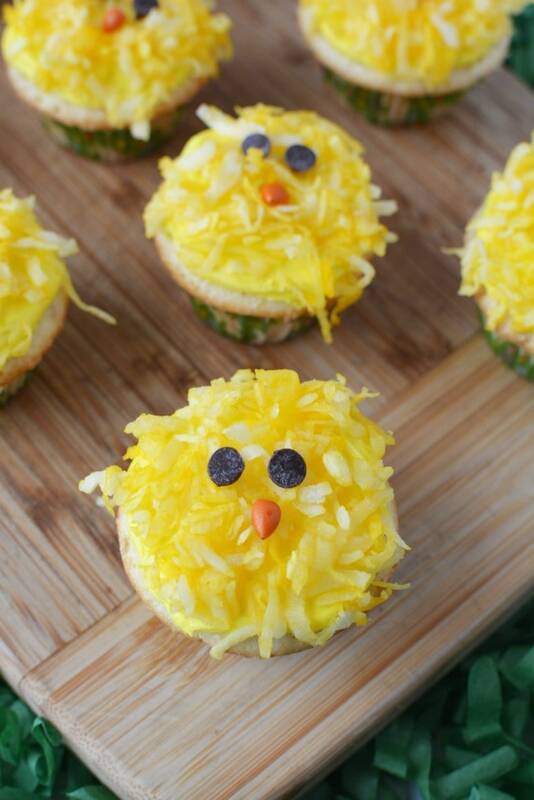 We used mini cupcake tins for our little chicks, but the recipe will also work with full size cupcakes. Prepare the cake mix as instructed on the box. Bake up your mini cupcakes as instructed per box. While cupcakes are cooling add approx. 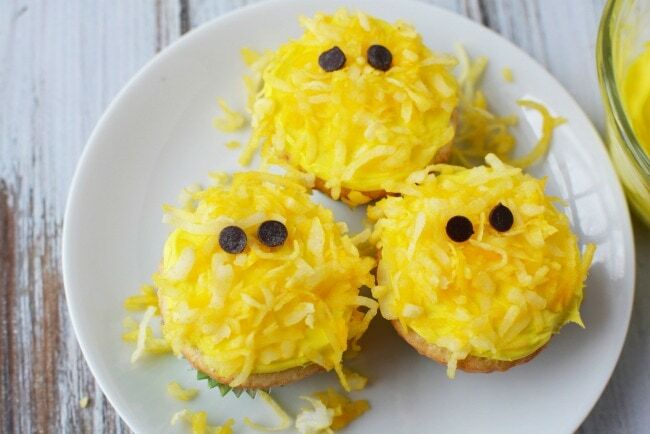 5 drops of yellow food coloring to your coconut flakes, and mix in a bowl (you can add more or less depending on your color saturation preference). 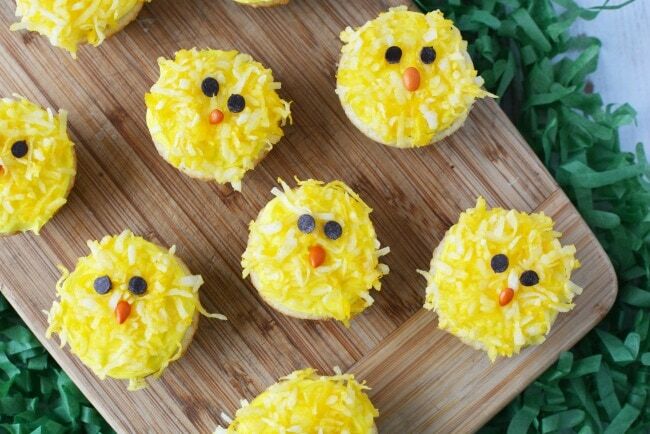 Once cupcakes are cooled frost them, and then immediately roll the frosted part of the cupcake in the yellow coconut flakes. Add two mini chocolate chips for eyes. Cut strips from your gummie candies to insert as a beak. These are so cute and don’t sound like they are to hard.